UK mobile operator O2 is to supply 5G connectivity at the Millbrook Proving Ground in Bedfordshire for the testing and development of connected cars. The on-site network is operated by small-cell service provider Dense Air, comprises 59 sites and 89 small cells and will use O2's 2.3GHz and 3.4GHz spectrum. The network forms part of the AutoAir 5G project, which is made up of a number of companies from the digitial and automotive sectors, Airspan and F1 team McLaren among them. Meanwhile, in a rural corner of England's West Country, around 50 cows have been fitted with 5G "smart collars" that control a robotic milking system, as well as health-monitoring ear tags. As Reuters reports, the connected cattle are doing their thing at the government-funded Agricultural Engineering Precision Innovation Centre (Agri-EPI Centre) in Shepton Mallet, on a testbed set up by Cisco Systems. 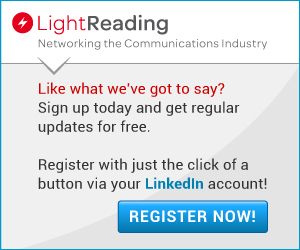 5G has also arrived at Rome's Leonardo da Vinci Airport, with a demo area developed by Telecom Italia (TIM), ADR and Ericsson that will offer weary travelers the chance to sample virtual guided tour services, including an "immersive bilingual tour" of Piazza Navona using virtual reality headsets. It's what Leonardo would have wanted. KPN is consolidating all its various security interests into one, all-encompassing company: KPN Security. DearBytes and QSight IT, which KPN acquired in 2017, will form part of the new entity. KPN Security will target all sorts of companies, from SMEs to large corporates, as well as the government sector. Dutch competition agency ACM is investigating Apple for allegedly favoring its own apps over those of its rivals in its own App Store. As Reuters reports, ACM says the probe may be extended to Google's Play Store too in the future. Be-Mobile, the "smart mobility" arm of Belgium's Proximus Group, has clubbed together with the Zeebrugge Port authority to launch Flux, an app that warns truck drivers of potential trouble spots at the port and on the wider international road network with a view to creating a smoother flow of freight traffic. The app will also send the vehicle's estimated time of arrival to the connected terminals so they can take action if the truck would arrives before or after its appointed slot. 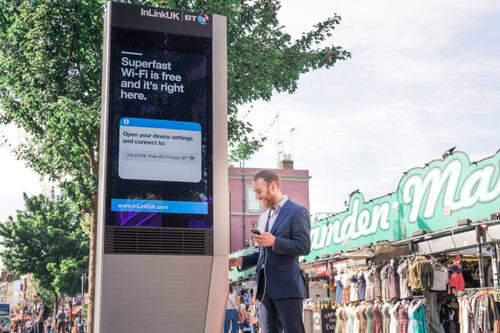 BT has had to take action to prevent the free-call capability of its InLink digital street units from being used for nefarious purposes by the likes of drug dealers and other miscreants. BT and InLink have teamed up to introduce a new automatic call blocking feature on the units, which uses an algorithm to identify suspicious call patterns and phone numbers. Any numbers identified as wrong 'uns are then blocked so that so no outgoing calls from any InLink unit in the UK can be made to them. Don't worry, he's just scoring another pint of beard oil. Online shopping is unstoppable, right? Well, no, it seems, at least according to a new study from Mintel, cited in a BBC report. The study found that last year, 45% of consumers said they shopped for groceries online, down from 49% in 2016. Nearly three quarters of those who refuse to shop online said they preferred to choose fresh products themselves in-store -- after all, who wants green bananas?